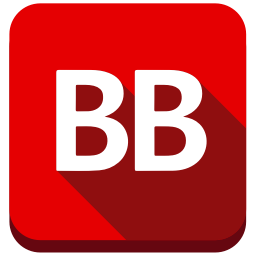 Lucy Burdette has topped herself with this story. I love the setting. I love these characters. I enjoyed everything about this book. I gobbled it right up and am hungry for more. I loved this book, the writing style flowed smoothly and I love reading about Florida and the various characters Ms. Burdette creates. They add all sorts of components to the story. 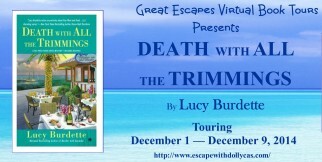 …Death with all the Trimmings is a delightful read that kept me intrigued. 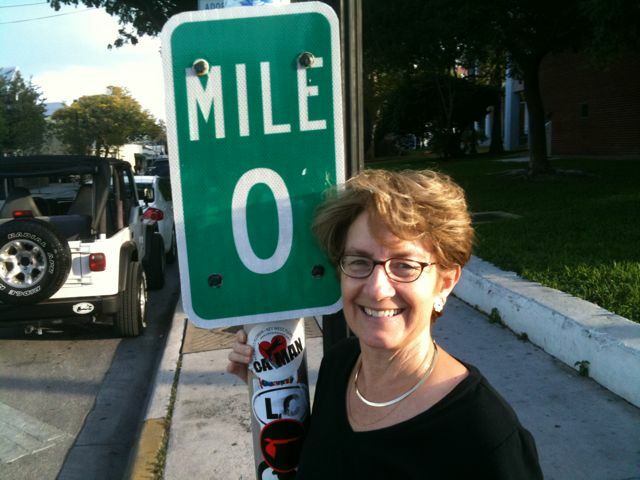 We have a well thought out mystery enriched by characters who keep evolving, the uniqueness of Key West, the spirit of Christmas, and the promise that is a new year. 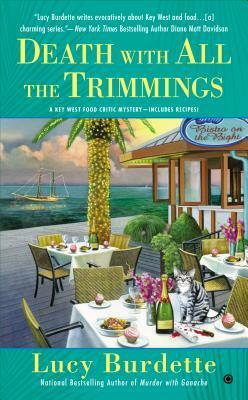 This is a great cozy to start off your holiday reading if you haven’t started it yet, wouldn’t Christmas in Key West be great? 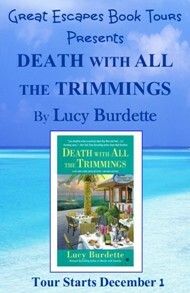 Clinical psychologist Lucy Burdette is the author of the Key West food critic mysteries, including DEATH WITH ALL THE TRIMMINGS, as well as the advice column mysteries and the golf lover’s mysteries, written as Roberta Isleib. Her books and stories have been short-listed for Agatha, Anthony, and Macavity awards.